The "Water" frame serves to set the type of ground water table. Inputting the ground water table or isolines, respectively, is identical with the standard input of interfaces. If the input data in individual stages are different, the program then allows for accepting the data from the previous stage of construction by pressing the "Accept" button. 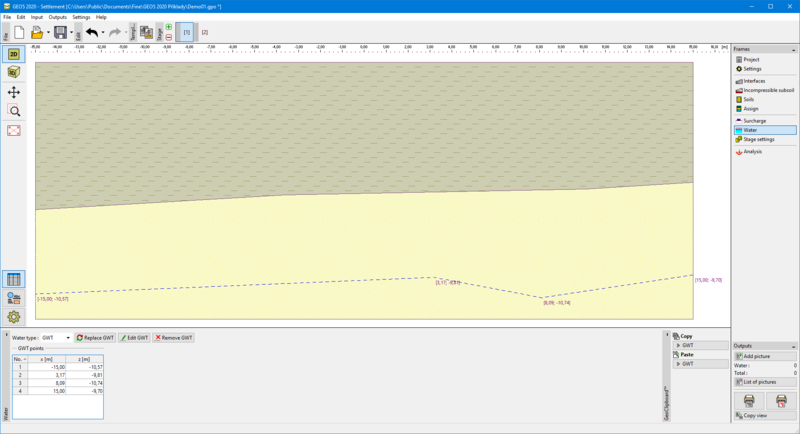 Input interfaces of water can be copied within all 2D GEO5 programs using "GeoClipboard".